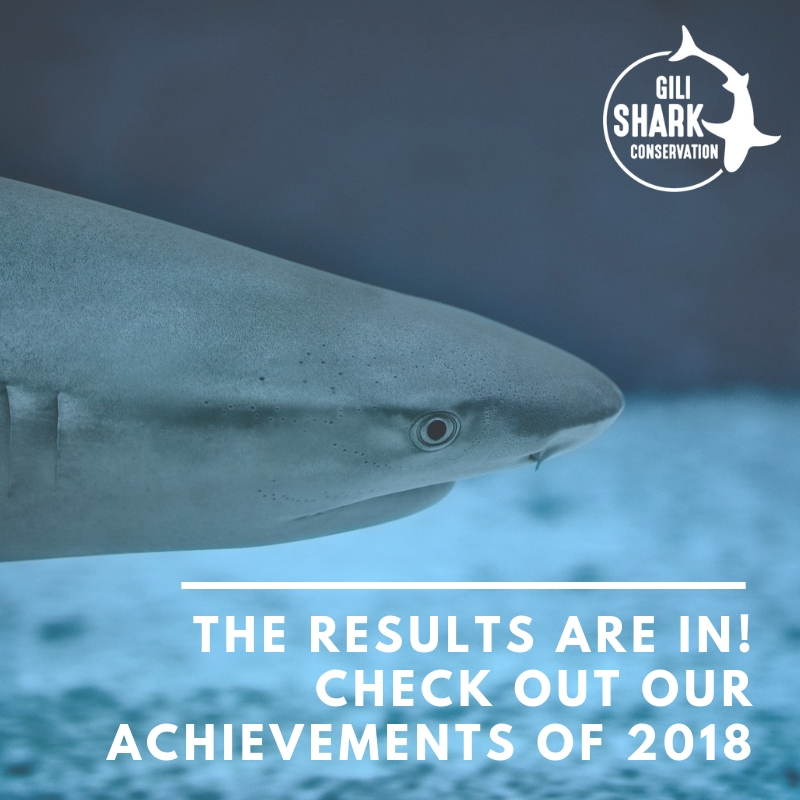 The Results Of Our Shark Conservation Work On The Gili Islands in 2018! Contact us on sharks@gilisharkconservation.com. We're always happy to help! We are incredible proud to share our results of 2018 with you! It was an awesome year full of incredible adventures. We grew as individuals, as a team, and as an organization & we can’t wait to see what 2019 has in store for us. We spent on average 2 hour a day underwater and collected an extensive volume of underwater data using existing research methods like BRUV, Roving Survey Dives, Photo ID, Fish & Benthic Dives and Dive against Debris. We also started using a – for us – new instrument; ‘underwater time lapse’ inspired by the documentary ‘Chasing Corals’. We dropped and viewed closed to 70 Baited Remote Underwater Videos (BRUV) to estimate and compare the relative abundance of sharks inside and outside marine protected areas. We did more than 250 survey dives to identify indicator species and to assess the health of the reefs around the Gilis. We identified and named more than 170 turtles and 11 white tip sharks around the Gili Islands. Let’s make sure we coexist with them and respect their environment! We found two dead sharks and brought them back to our office for further study. We wrote a report about the impact of the earthquake on the reef and published two scientific papers. We removed more than 1239 pieces / 86 kg of rubbish from our adopted dive site Meno Slope. 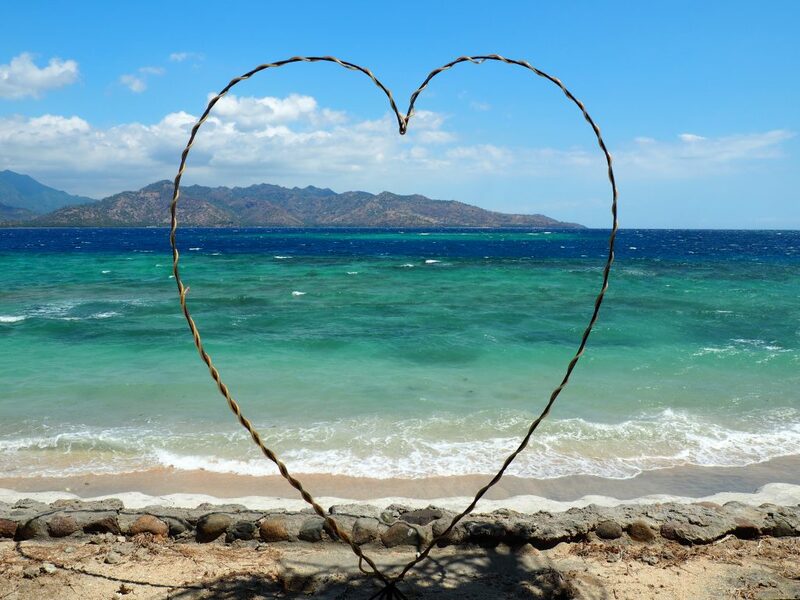 We collaborated with ZMT (Centre of Tropical Marine Research in Germany) on a social-ecological system analysis examining scuba dive tourism on the Gili Islands. We started our own underwater time-lapse project. And last but definitely not least…we did weekly conservation classes where we’ve taught the kids about plastics, marine life, and how to make a difference! Our Club Harapan at the local primary school has now 97 members! When we started our project we didn’t have the knowledge neither did we have the experience. All we had was an intention, a lot of energy and the desire to be part of the solution. We didn’t want to stand on the sideline anymore and watch how other people try to solve a problem which we are all responsible for. Think about it. We know more about the surface of our moon than we know about our oceans. In a world where everything is overshared, overexposed, and overused, the ocean is our last frontier, where fascinating new discoveries are happening every day. 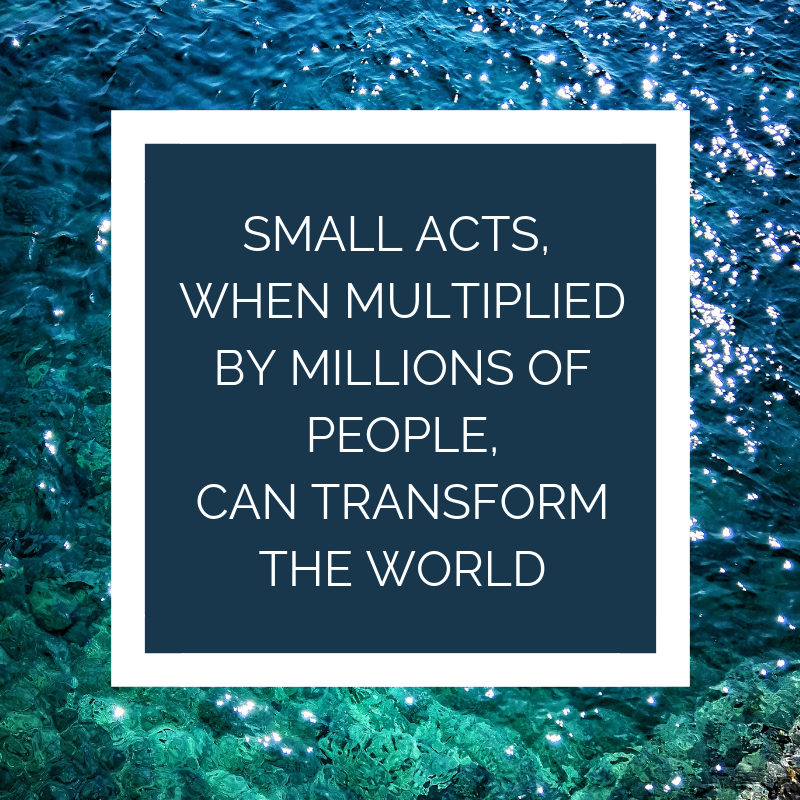 The Time To Act is … NOW! According to a study by the World Economic Forum, there will be one ton of plastic for every three tons of fish by 2025 , and if things go on business as usual, there will be more plastic in the ocean than fish by 2050.Plastic is ubiquitous in modern society and seemingly unavoidable. But is it worth risking the lives of marine species, the health of the oceans and our own future in the name of convenience? Did you ever try to picture yourself swimming between tons of plastic? By taking steps to minimize everyday single use plastics in our lives, like plastic bags, plastic straws, etc., we can crush plastic at the source and give marine life a fighting chance. Don’t know where to start? Start small and make the pledge today of not using any plastic bags and plastic bottles for the whole of 2019. Thank you to our amazing staff for your commitment, your dedication and your endless energy to protect our beloved ocean. You guys really make the difference and we couldn’t be more proud to have you on our side. Thank you to our partner Oceans5 Dive Resort for making your courses available for us. Without your help we wouldn’t be able to conduct our research. Thank you to BKKPN for your support and your trust in us. It’s a pleasure to share our mission with you and we are looking forward to continue our partnership in 2019. 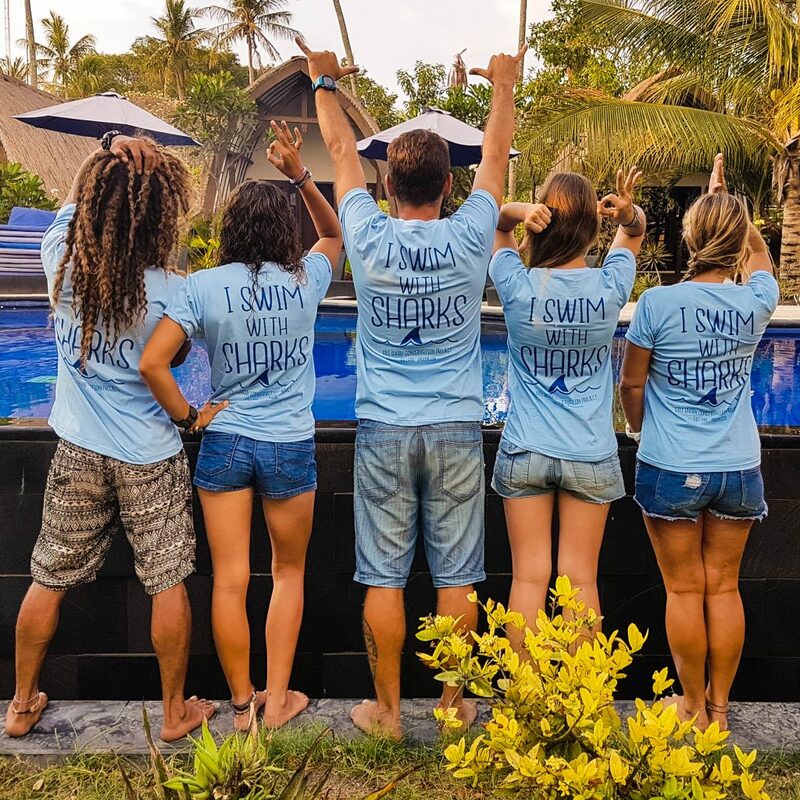 And last but definitely not least: thank you to all the amazing Shark Warriors from all over the world that joined our research team in 2018. You made it possible that we can keep continue to protect what we love! What Gift To Buy For A SCUBA Diving Addict?